Ron and Maggie Tear Photography: Don't get in the way !! Don't get in the way !! 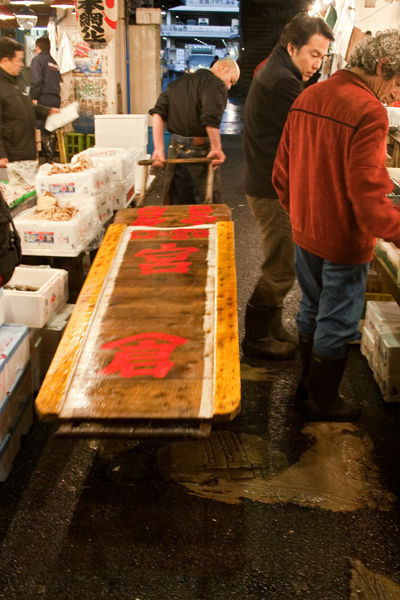 Tsukigi the largest fish market in the world. We left our hotel at 5.00am to get to this market at peak time. It was all hustle and bustle and don't get in the way, they run you over ! It was huge and so were some of the prices, fish being the main ingredient in Japanese diet is highly prized. Such atmosphere.